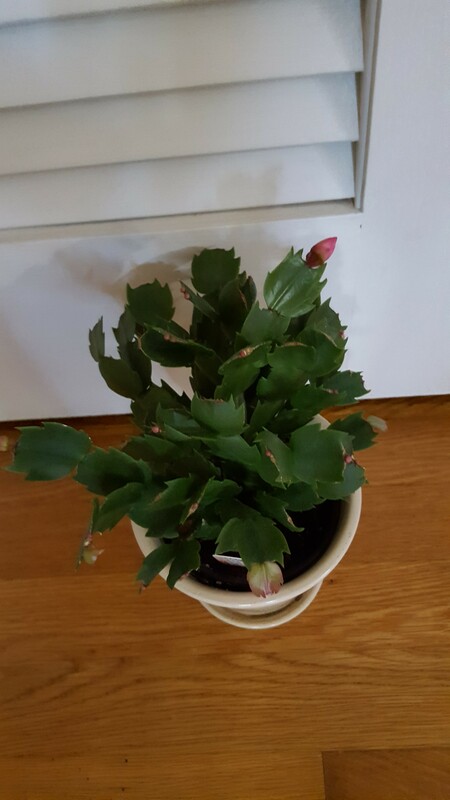 Christmas cactus or holiday cactus? There are those that swear that botanically there is a difference and that only certain of the zygocacti will bloom at Christmas. I am not as certain of that fact, particularly this year. This year, this is the first of my zygocacti to bloom. In prior years, it was always the second. 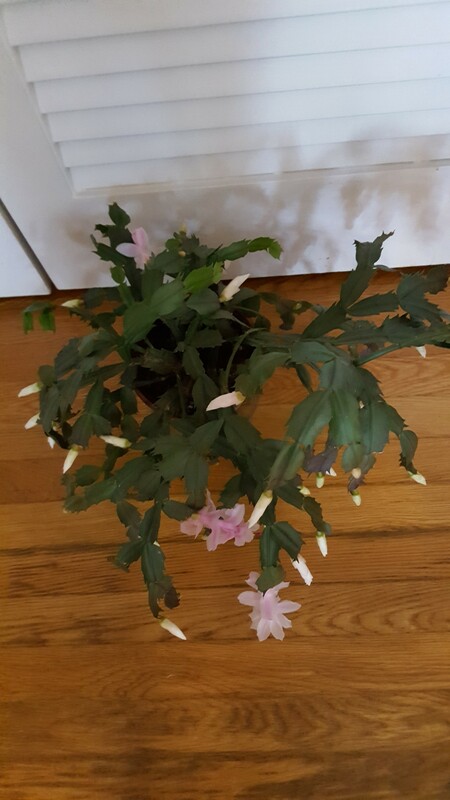 My oldest “Christmas cactus” is usually the first to bloom. This year, it is just barely beginning to bud. I may not have blooms for Christmas. And it never moves from its spot. This is always the latest of my blooming zygocacti. Not only does it not bloom for Christmas , but it doesn’t bloom for New Year’s either. What, then, botanically, does that make it, pray tell? A Valentine’s Day cactus? And then there is this little zygocacti, which may bloom early or may bloom late, depending on the year. Surely it doesn’t change botanically. So you can see why I find it hard to believe that there are truly “Christmas ” cactI out there that are botanically different. Maybe they just don’t sell them in my part of the country . Next Article A Lucky Spider? I always love your blog, but haven’t had a chance to comment in a while. It looks like all of the plants you show are Thanksgiving cactus or Schlumbergera ‘truncata’. They have pointed leaf segments and flowers which look like birds in flight. Schlumbergera ‘buckleyi’ is the old fashioned Christmas cactus. They have more scalloped leaf segments which hang down with flowers which also hang straight down. I never see these sold anymore and have only acquired them through cuttings from very old plants. 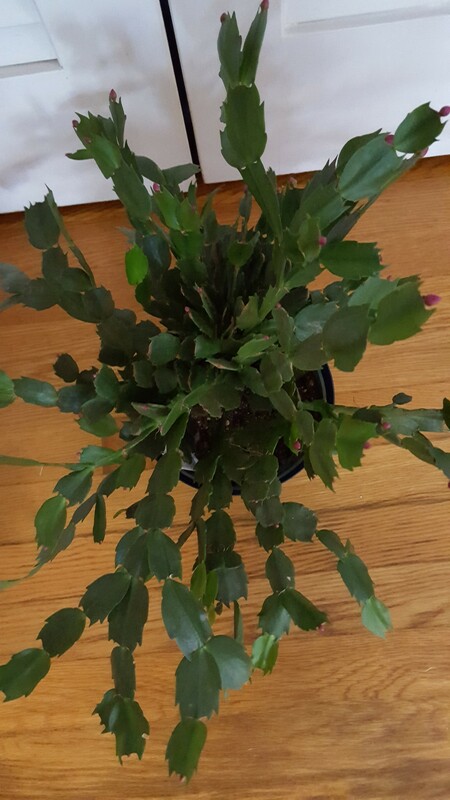 To add to the confusion, the Easter cactus, another holiday cactus, is Rhipsalidopsis gaertneri and it’s leaf segments are also scalloped shaped, but are more rounded than S. buckleyi. Flowers look more star shaped than the Schlumbergera. How are you feeling after the surgery? I felt so sad to read about the melanoma diagnosis. I have dealt with this also (surgeries and interferon eight years ago)and hope you are doing well. Feel free to email if I may be of any help regarding dealing with this diagnosis. Take good care. Thank you for asking about my melanoma. I got very lucky because I caught it early so I only needed surgery–& of course lots of dermatology follow ups, which I am very happy about anyway. I now open my lectures with a little “public service announcement.” As gardeners, at least here in the northeast, we are all very comfortable with doing tick checks after gardening. As part of that, we need to be also looking at our skin, just to be sure nothing is amiss–skin checks, so to speak. I hope that I can help someone else that way. As for the zygocacti, I suspect you are right about them not selling the “true ” Christmas cactus anymore. I do have a couple of the “Easter” cactus and yes they are much different. Pretty flowers. For me they bloom around Memorial Day. Thanks for commenting and for your support!